A fun, friendly and colourful walk along the Bexhill promenade raising money for charity. Taking place along the promenade at Bexhill-on-Sea, this non-competitive event will start at the Bexhill Sea Angling Club (TN40 1PJ) and finish at the iconic De La Warr Pavilion terrace. The event will again be led off by a grand parade of mobility scooters. 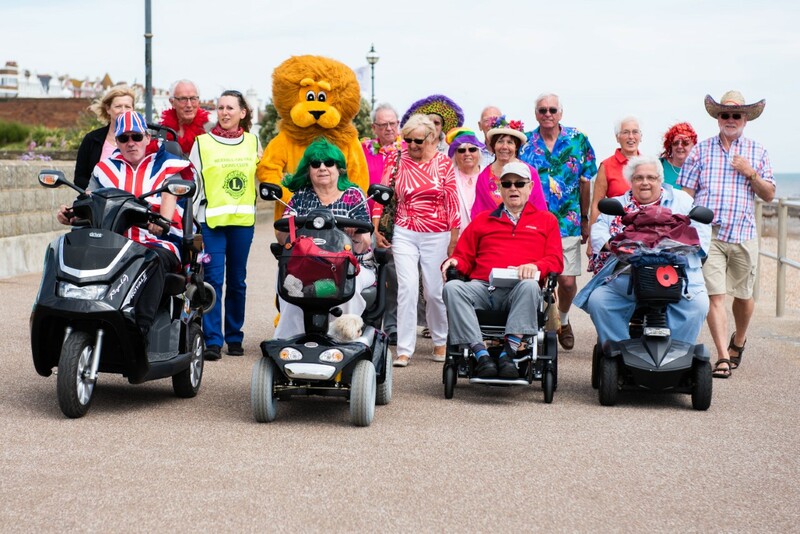 Organised by Bexhill Lions Club for mobility scooter users, wheelchair users, mums and dads with prams and walkers of all ages. Everyone’s welcome, regardless of mobility level. The entry fee is £5 in advance for adults and £3 for under 16s (or £8 and £5 on the day if there are places left). Entrants are encouraged to get sponsorship and raise money for their own good cause. All proceeds from registration fees will be donated to the RNLI. Walkers and wheelchair users can choose one of two options on the day: 1.7 km from the Sea Angling Club to the De La Warr, or 3.4km along the same route as the mobility scooters. There will be a prizes for the best dressed scooter, wheelchair and pushchair. The suggested theme for this year is NAUTICAL.